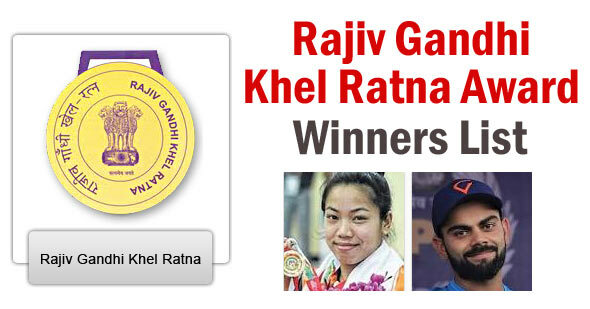 Rajeev Gandhi Khel Ratna Award (RGKR) – The objective of the award is to recognize the spectacular and most outstanding performances in the field of sports by a sportsperson in a year. The sportsperson shall be honoured with Rajeev Gandhi Khel Ratna Award for Excellence in sports and games at International level i.e., Olympic/Asia/Commonwealth/World Games/Championship/World Cup or any equivalent recognized international tournament. The award will be made in respect of the calendar year for. There will be only one award every year to be given to an individual sportsperson. This condition will be relaxed only in exceptional circumstances viz., winning an Olympic Medal. The award will be only for the individual players, who had excelled in performance and not for team events or a team. No award will be made for a second time to the same person. The award may be given posthumously. Description – It is the highest sporting honour of the Republic of India. Cash Award – A medal a scroll of honour and a substantial cash amount of 7.5 lakh.